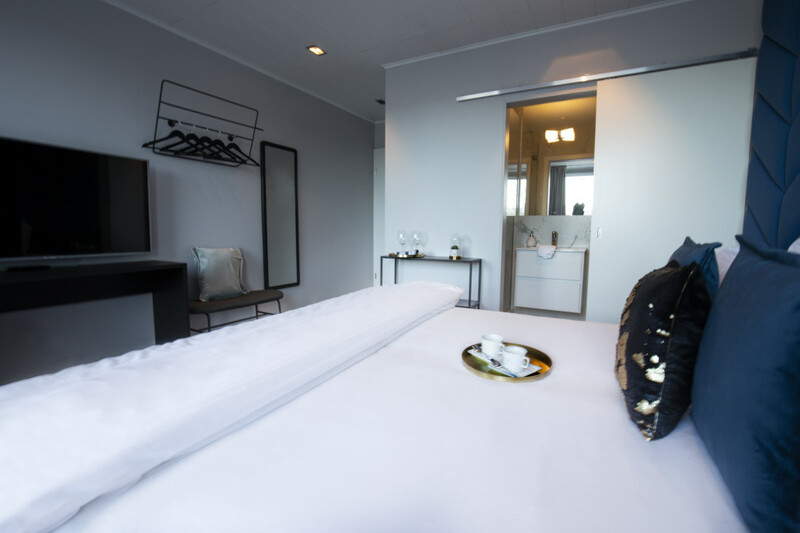 All our guests are offered complimentary high speed WiFi, fresh towels daily and use of our our rooftop Jacuzzi and steam bath. 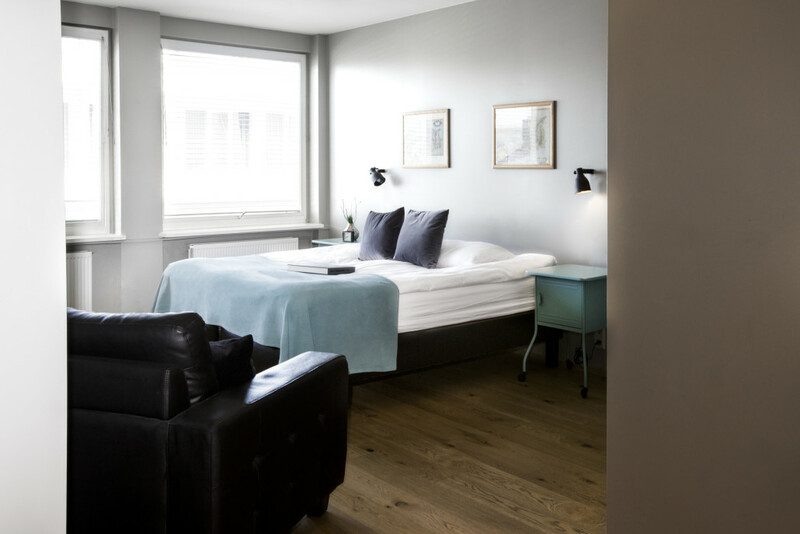 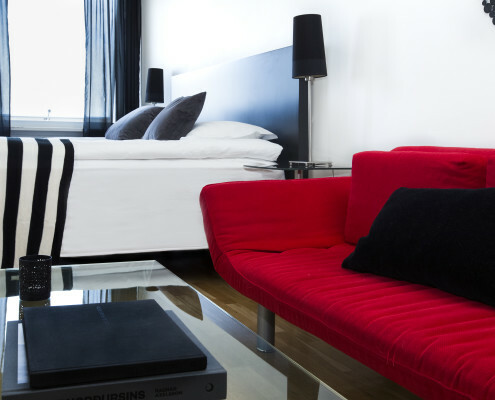 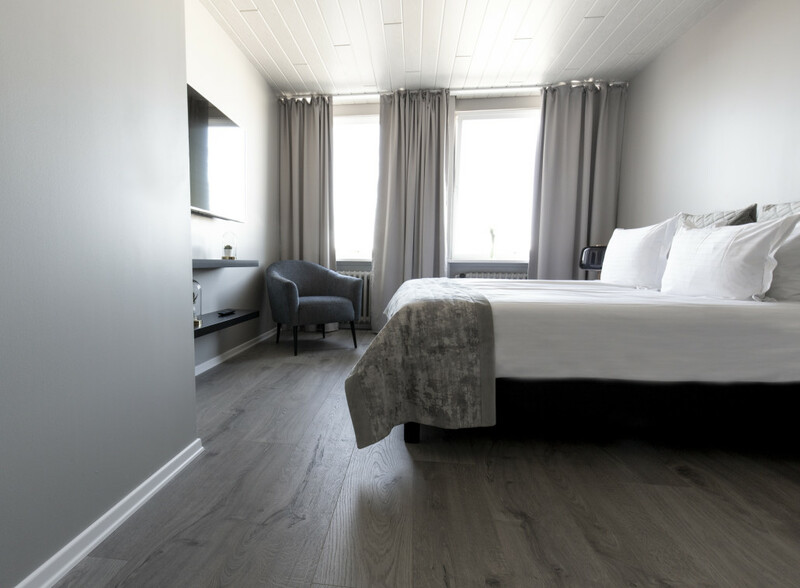 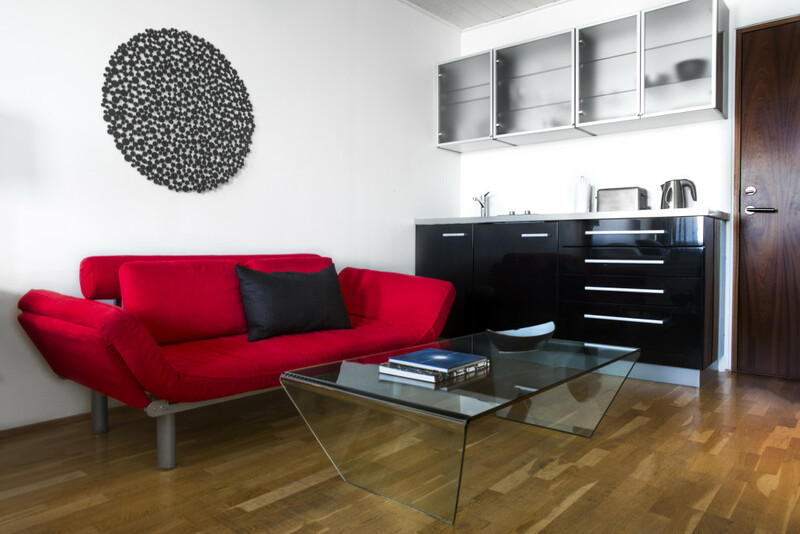 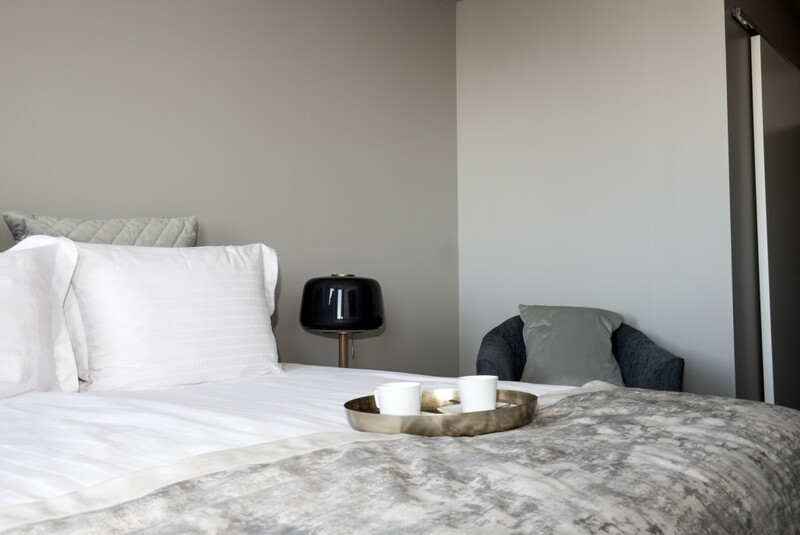 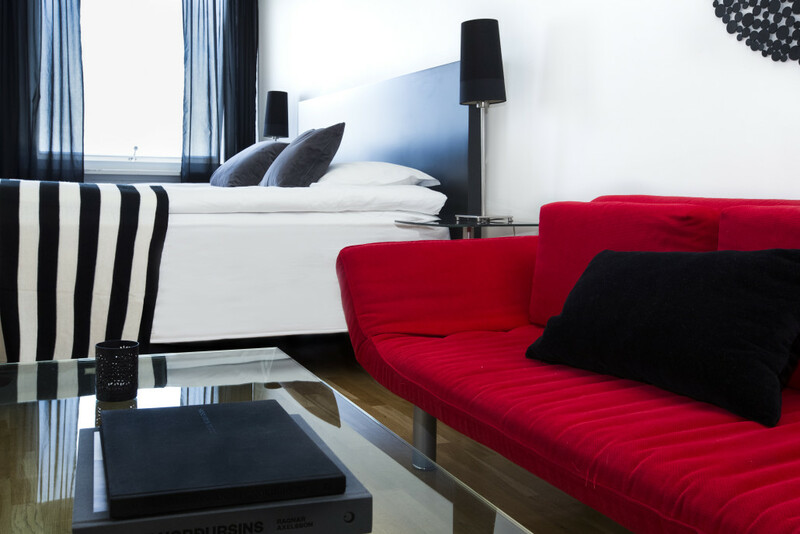 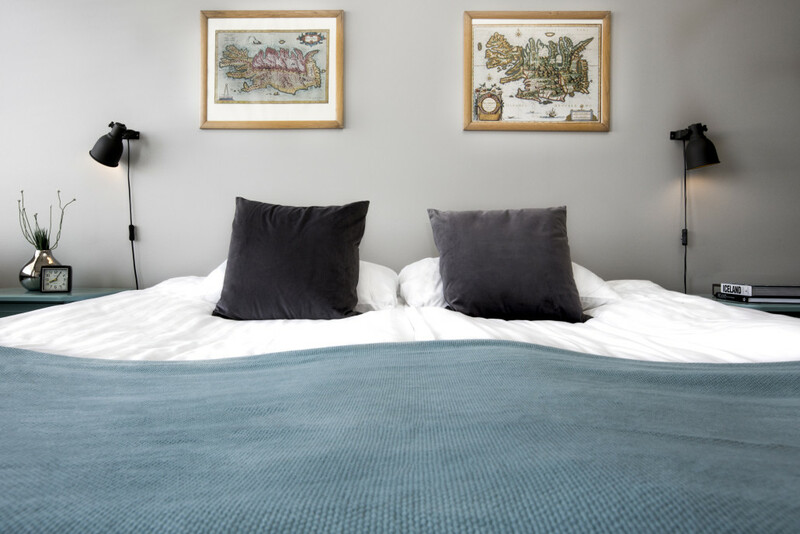 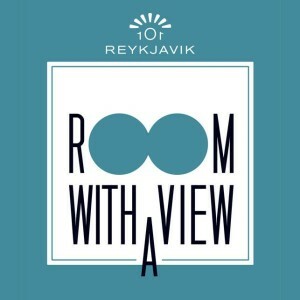 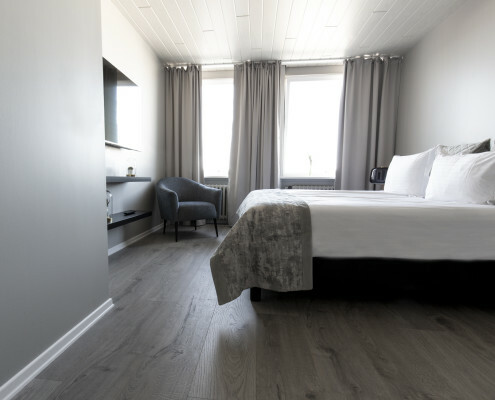 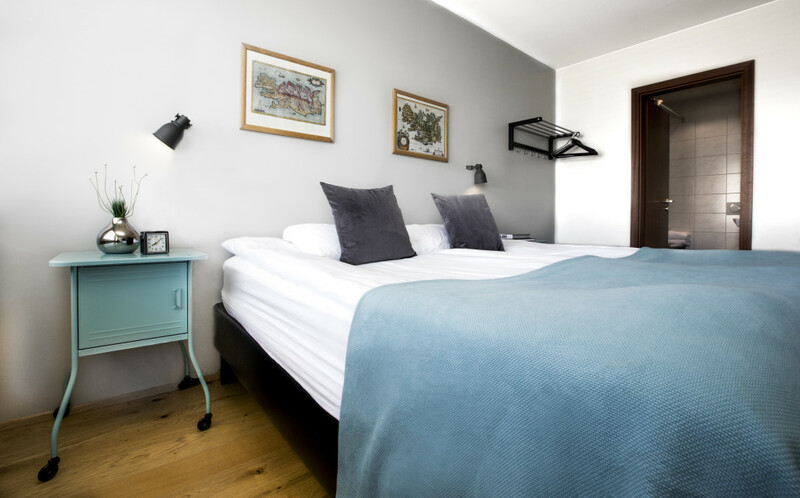 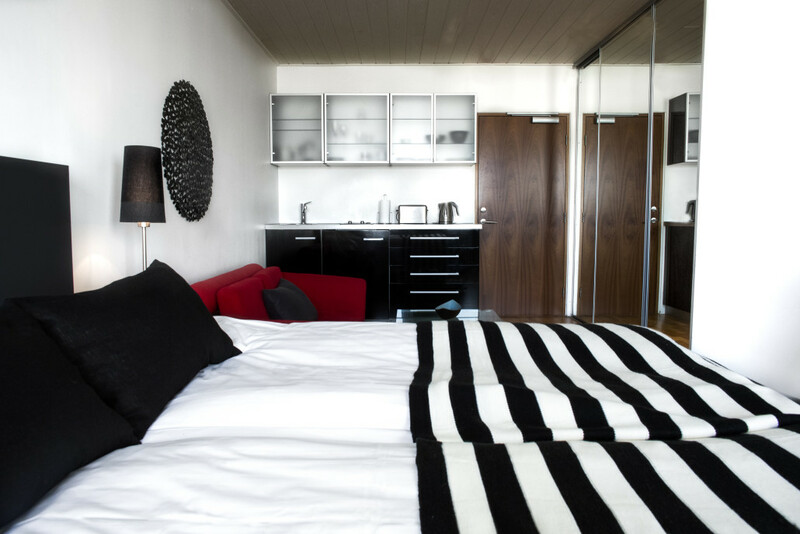 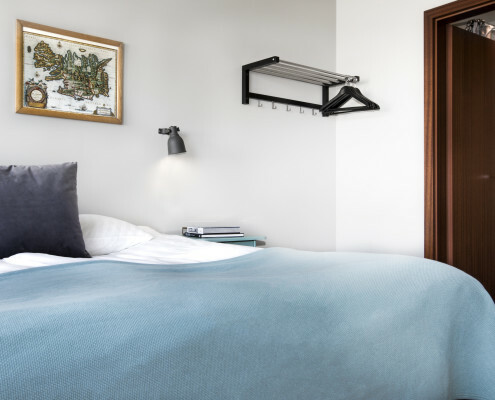 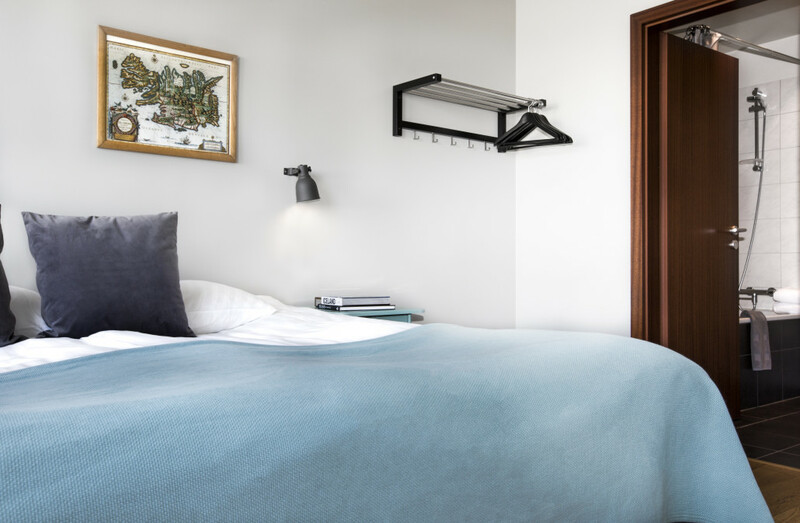 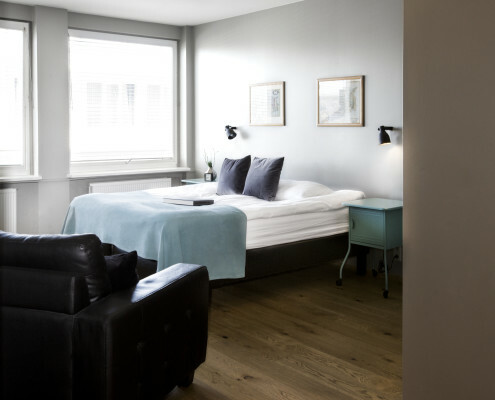 Our compact Studios are our best value option for an economic stay in Iceland. 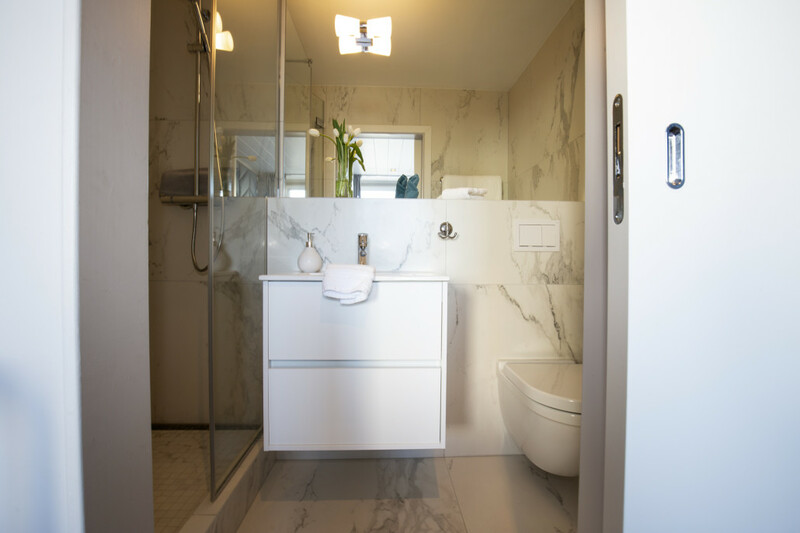 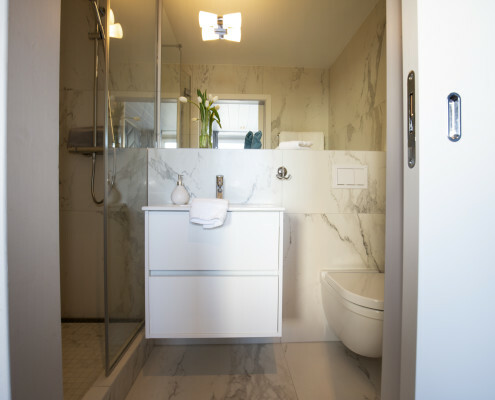 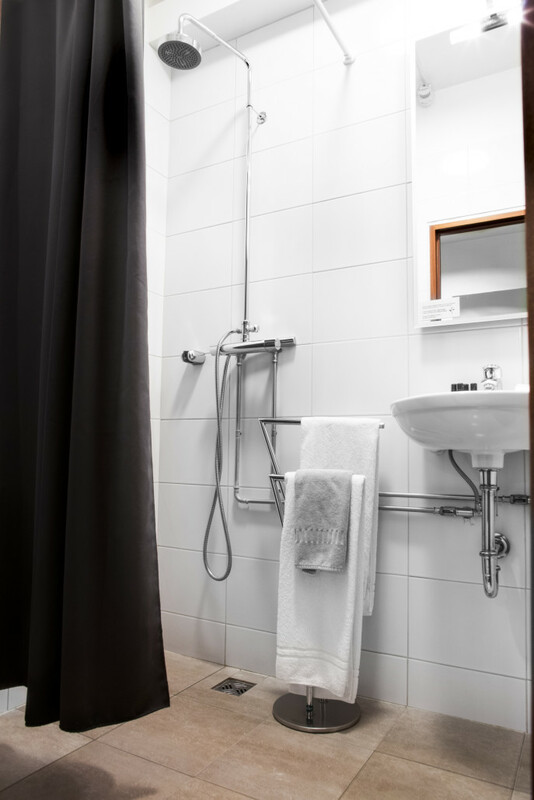 Please note that these apartments have private bathroom facilities located across the corridor from the main apartment and not inside the apartment, if you choose this option we reiterate that the private bathroom is detached from your apartment, each has its private facilities for every studio. 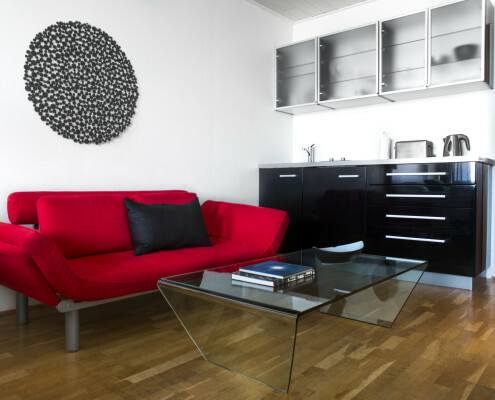 Fully equipped kitchenette, with refrigerator, utensils, hob, microwave and toaster. 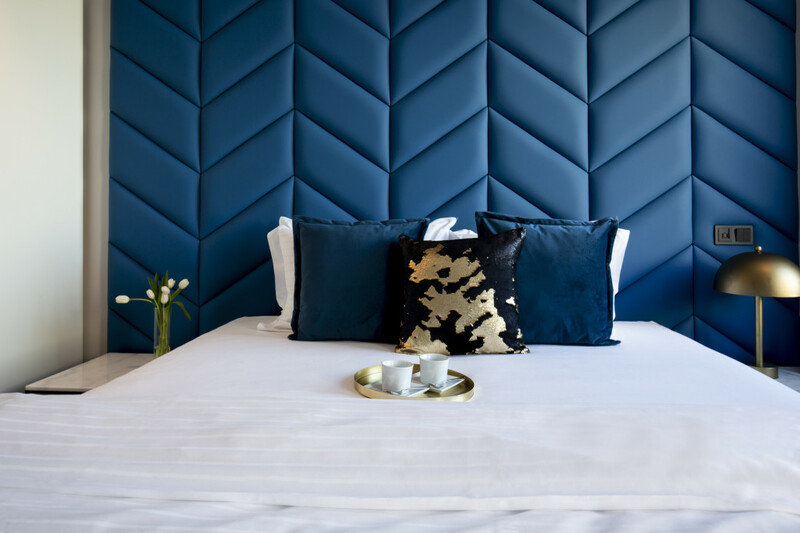 Tea & Coffee provided. 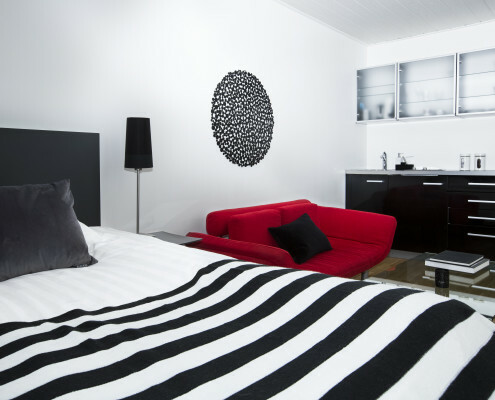 Flat screen TV with international channels, telephone for free internal/local calls and high speed WiFi. 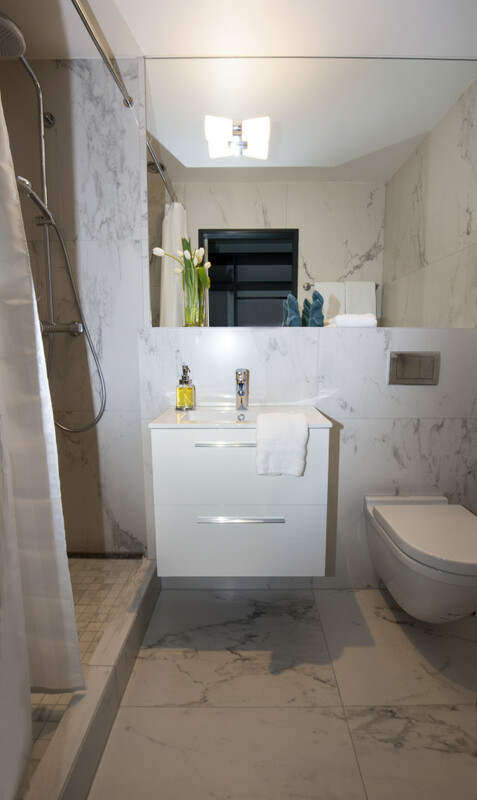 Private external bathroom with Nordic toiletries included and fresh towels daily. 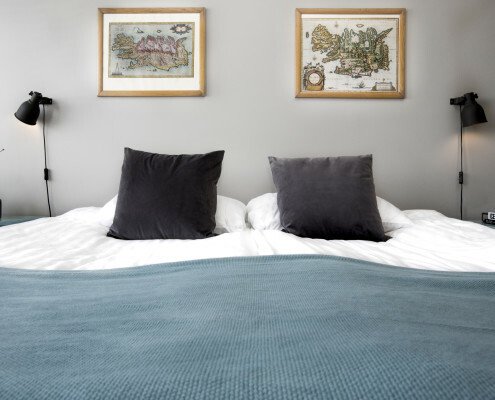 Suitable for 2 in a double bed arrangement. 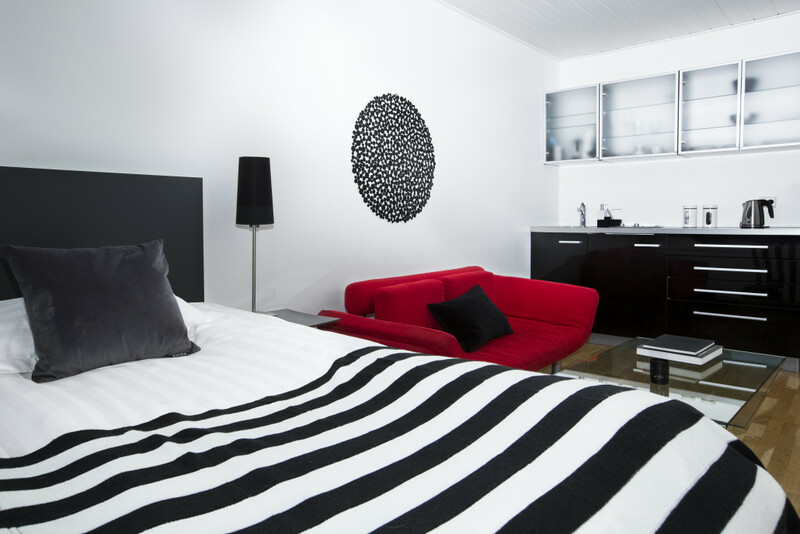 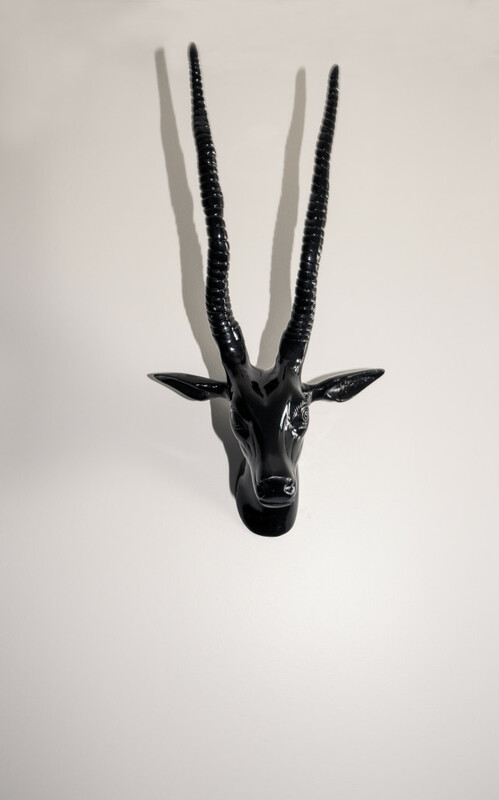 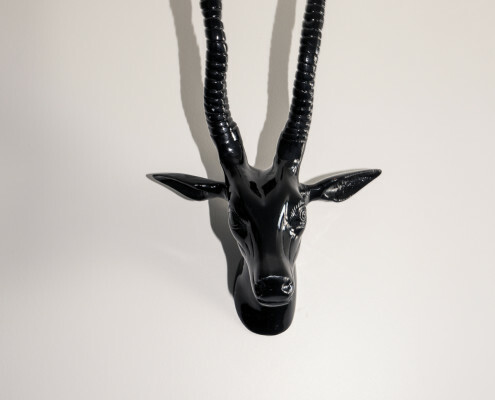 Our most popular category, due to the excellent value, comfort and service our guests receive. 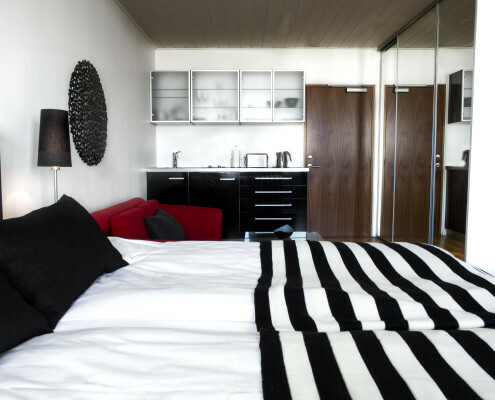 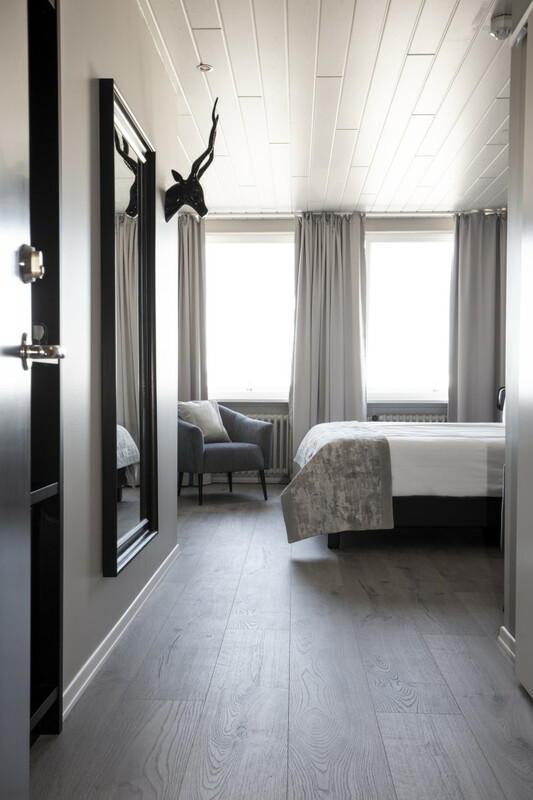 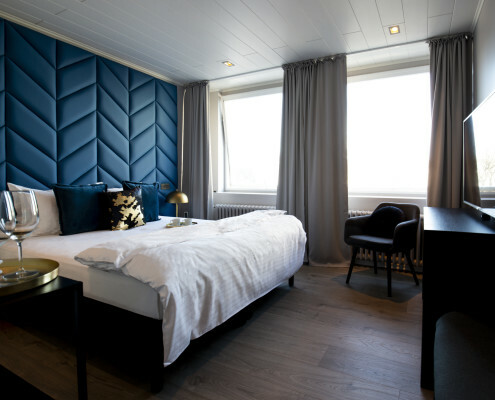 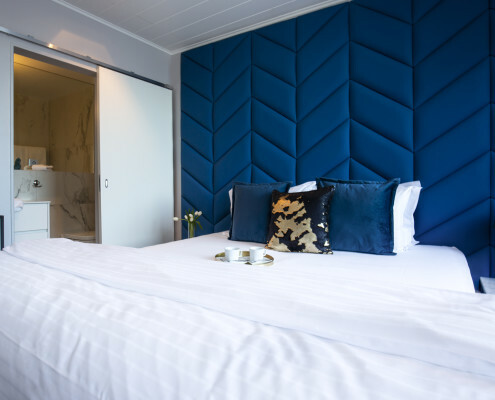 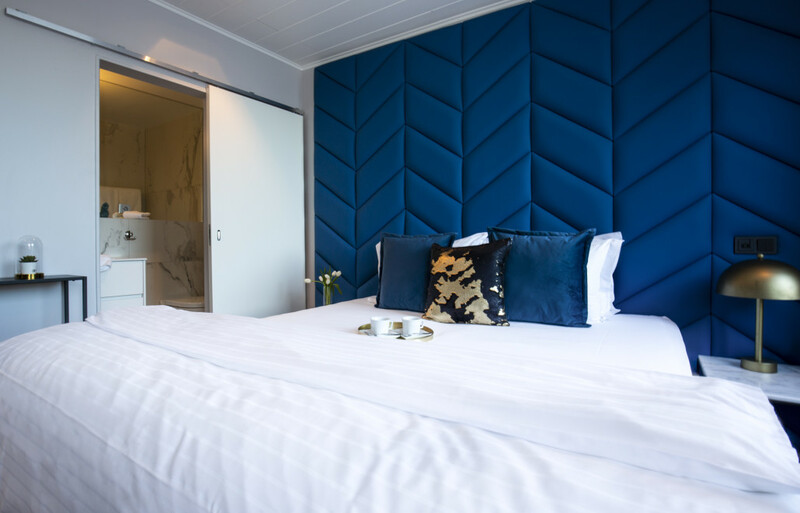 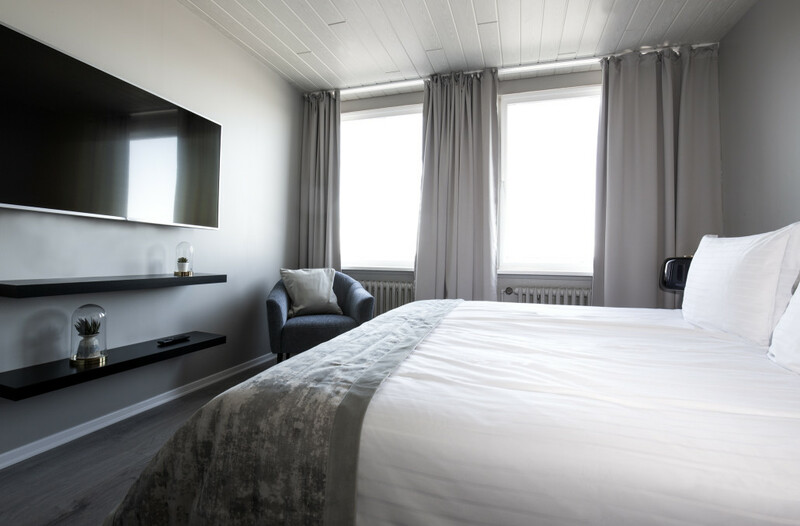 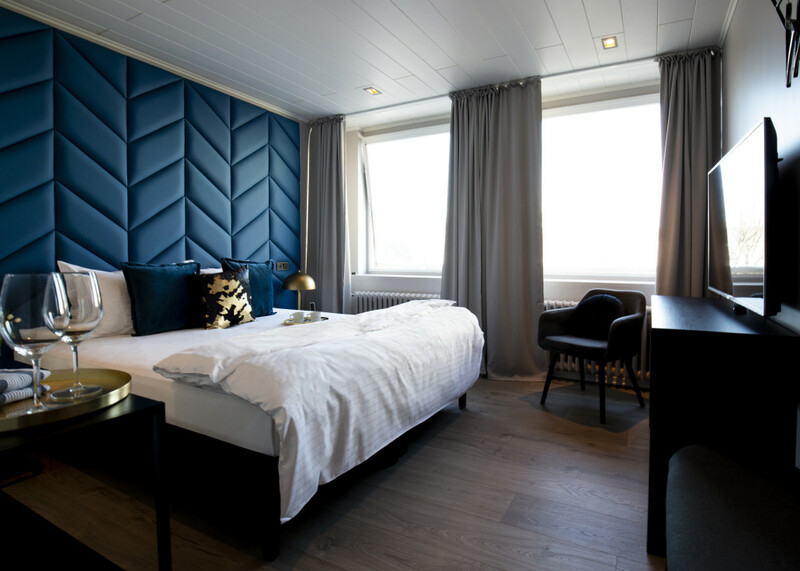 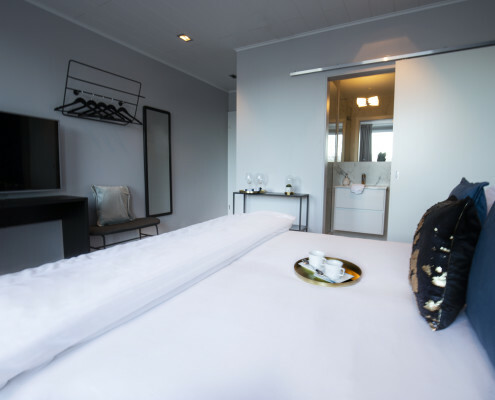 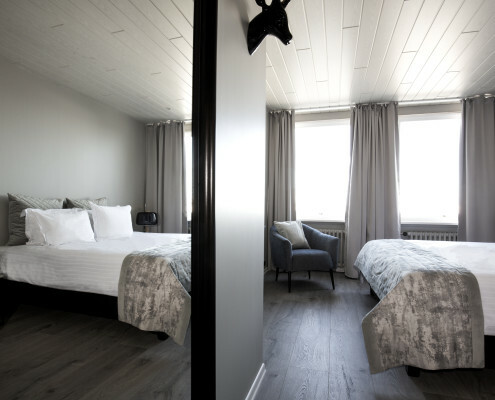 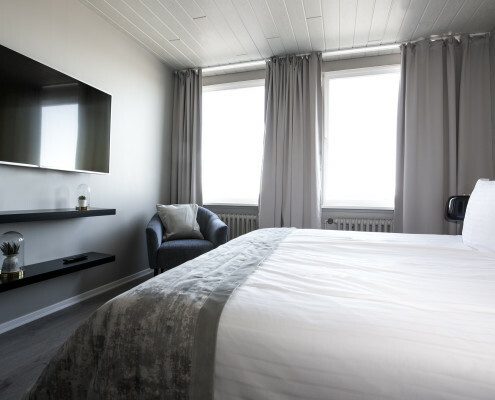 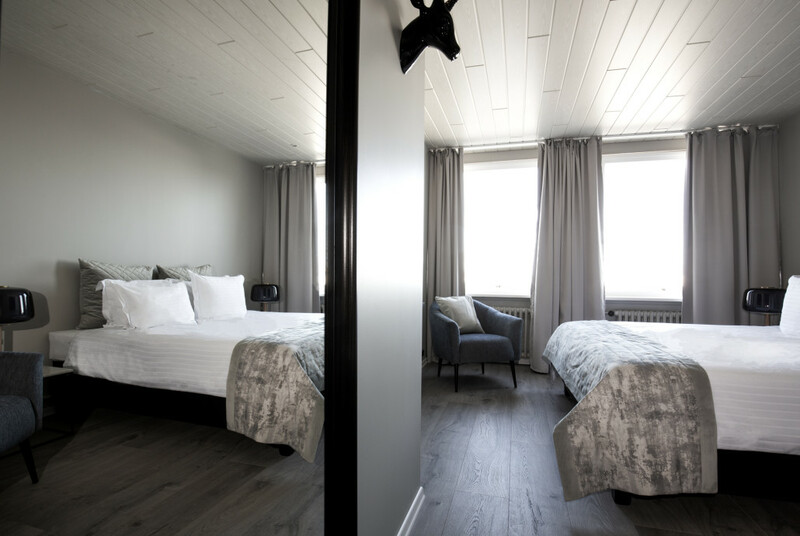 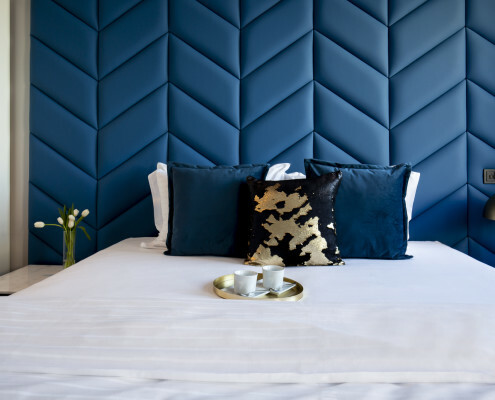 Our guests can enjoy a spacious area with all the facilities and home comforts while exploring Iceland. 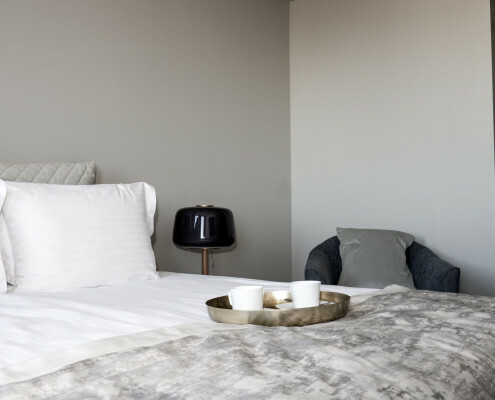 Mini fidge and Tea & Coffee provided. 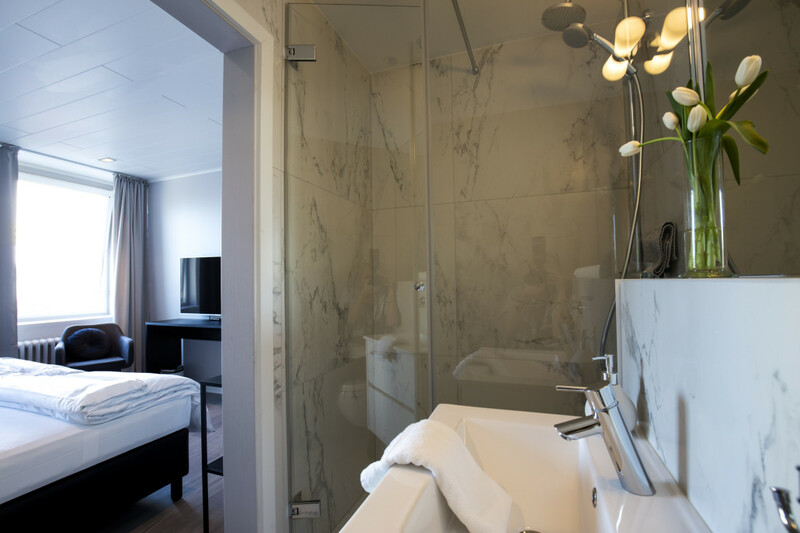 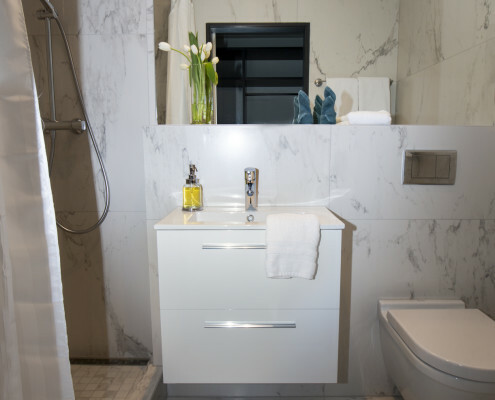 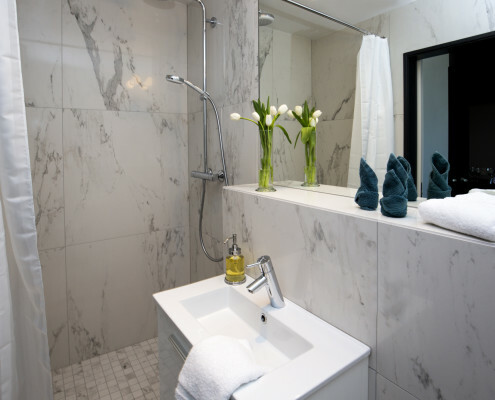 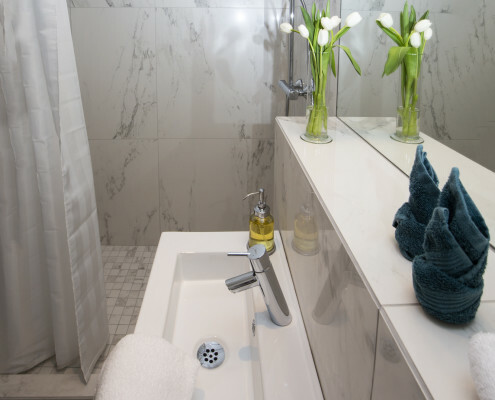 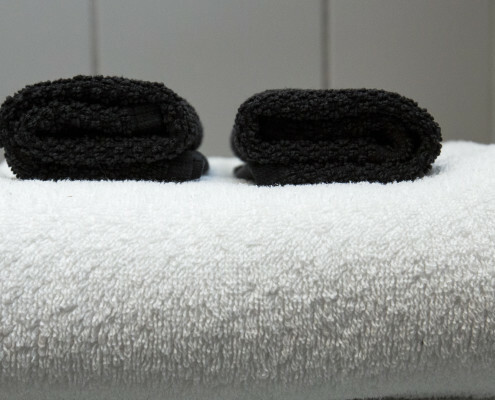 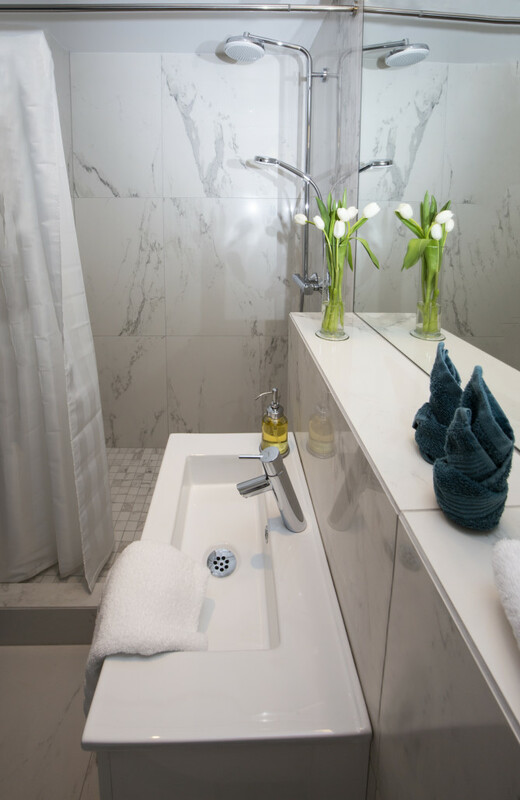 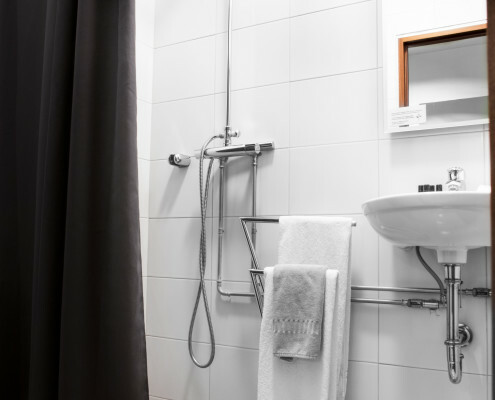 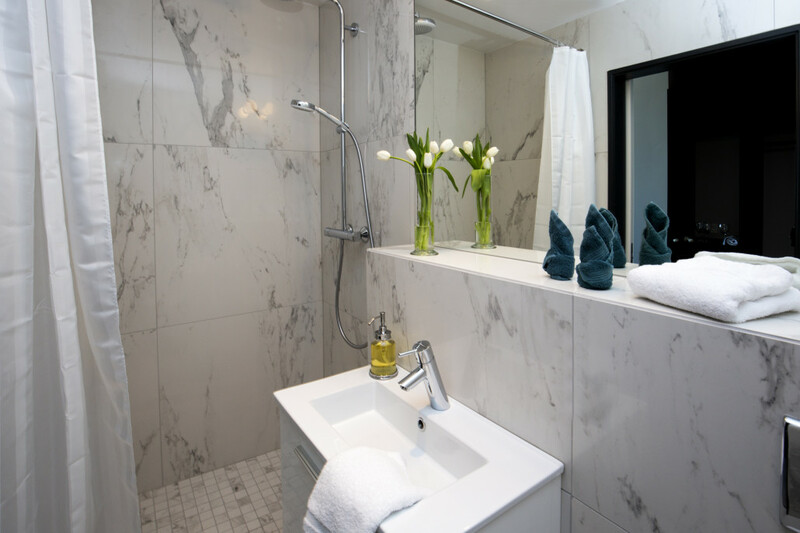 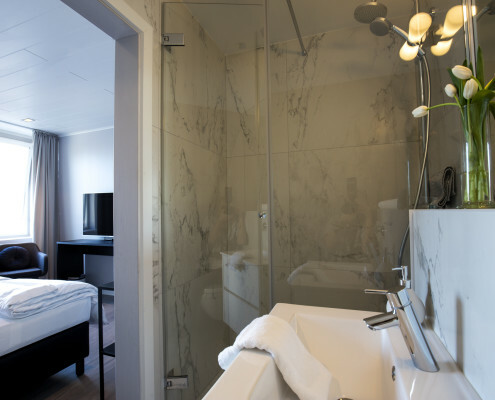 Private bathroom with Nordic toiletries included and fresh towels daily. 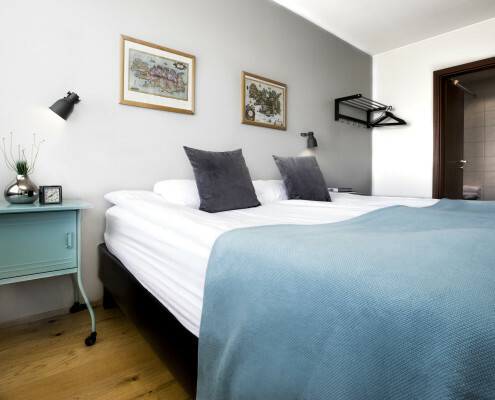 Suitable for 2 in a double bed or 2 single bed arrangement, extra bed for children may be requested prior to arrival.